Behold, this year’s Zwanze Day locations! 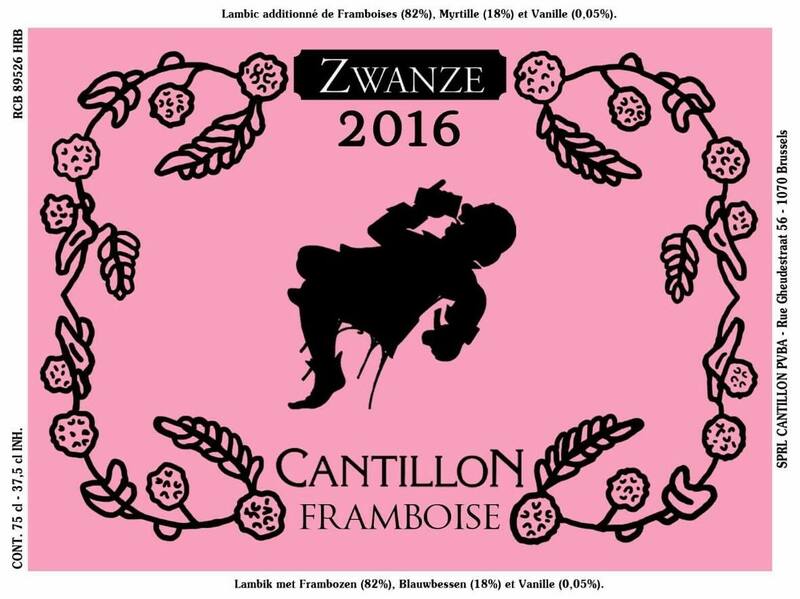 This year’s Zwanze is going to be a throwback to the Framboise they were producing 30 years ago. As the name implies, it was a lambic aged on raspberries. Back in the ’80s they used fresh fruit that lost its color quickly and often made filtration difficult, so cherries were also used to help maintain some rosiness and act as a secondary filter bed beneath the raspberries. Vanilla was also added to round it out. With modern flash-freezing techniques helping to maintain color and consistency, Cantillon began producing Rosé de Gambrinus with 100% raspberries. With Zwanze 2016, Jean wanted to give a nod to the raspberry/cherry blend, but with a twist: He decided to use blueberries instead of cherries.